The costs to create a blog and run a blog are on the rise! Why? Competition. 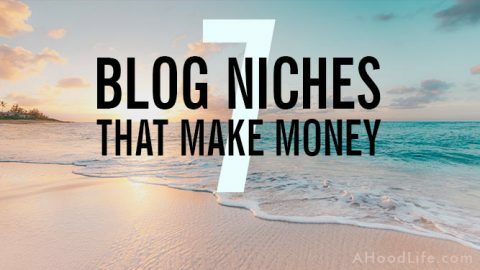 Many blogs are thriving businesses that supply the bloggers with a little extra cash all the way to incredible six plus figure incomes. More and more people are starting blogs in hopes of financial independence. Guess what?! There are new success stories every day! Let’s get you prepared to be the next blogging success story by understanding the costs of blogging. Great news! When you compare the cost of blogging to other business startups the fees are super cheap. Blogging is still one of the most affordable startup businesses you can get into. 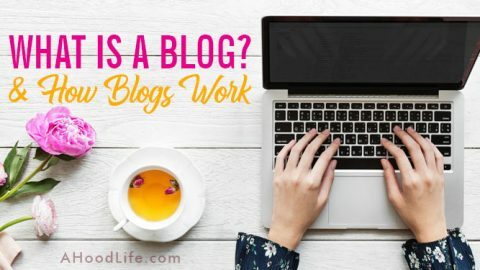 Yes, your blog is a business and you have to treat it like one if you want to make real money at it. Many people talk about free blog hosting, free WordPress themes, and free email marketing services that you can use to start your blog for no money. Please don’t fall for this! These free blog sites and services are limited and will hinder your chances of success. You need the extras that free blog hosting and tools are missing. It takes money to make money. Nothing is truly free in the business world. Start your blog with the right tools and services from the beginning. It will save you headaches, heartache, and money in the long-run. Also! You’re more likely to stick with blogging if you set up things the right way from point one. Speaking of sticking with it. Blogging requires a lot of time, focus, and dedication. You aren’t likely to recoup your blogging costs in a short amount of time. Blogging doesn’t work that way. Blogging is an investment that builds over time. It’s not a get-rich-quick scheme. Blogging is hard work! There’s a risk when starting a blog. Your investment in the right services will greatly increase the chances of success. It’s time to take a look at the best blog services and their costs. If you’re going to start a blog, you need a web hosting provider to get your blog online. So let’s cover your hosting costs first. There are many reputable web hosting providers, but there’s none better than Bluehost for blogging. Bluehost is the #1 recommended web host by WordPress.org. WordPress is the template system that your blog will be built on. So why would you look elsewhere? Go with the host that works the best, Bluehost! As far as web hosting goes, Bluehost is extremely affordable and has great customer service that’s available 24-7. Bluehost regularly runs specials. You can usually find it on sale for $2.65 to $3.95 per month. The only catch, you have to pay for 12 to 60 months in advance. TIP: On the Create Your Account signup page at Bluehost which comes up after selecting your plan… If you move your mouse pointer as if you’re leaving the page, there’s sometimes a popup that will give you further discounts. Using this trick at the time of this posting, they’re offering an additional 65% off their sales price making your price only $2.65 per month. Hope you find those savings when you sign up! I know every saving is important. With Bluehost, you get your domain name free for one year at signup. Domain name renewal in the future will vary. My dot com domains currently renew for $15.99 per year. 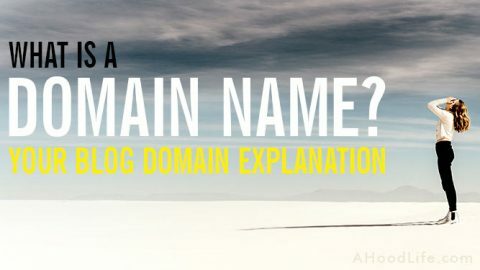 Getting your domain name is simple. Bluehost will let you know if your domain name of choice is available when you sign up for their service. If you already happen to have your domain name, you can point it to Bluehost or transfer it to them. I find it simpler to have my domains names hosted with Bluehost. Without domain privacy protection, your domain name registration information will be available for everyone to see. This is a must have to prevent a crazy amount of spam, calls, and texts. It also hides your physical address too! Domain privacy protection through Bluehost is $0.99 per month. Well worth the fee for your peace of mind. I skipped buying domain privacy protection on one website 3 years ago. I’m still paying for that mistake. I get tons of spam daily even though I went back and bought the protection. It doesn’t take the spammers long to gather information from your new domain name registration. Bluehost has free SSL certificates! These days, SSL certificates are a must for all websites. Wondering what an SSL certificate is? SSL stands for Secure Sockets Layer. The SSL certificate Bluehost gives you will digitally authenticate the identity of your website and protects information sent to your server by encrypting it. Basically, it makes it super hard for crappy people to steal information. The Google Chrome web browser along with other browsers will show a ‘Not secure’ warning for your blog if you don’t have this in place! Would you go to a website Google says isn’t secure? No, thank you! I’ll find my information elsewhere. I not only won’t visit a website without a SSL certificate but I won’t link to a site that isn’t secure. It’s a quality and protection thing. I want all my readers going to safe websites. I know other people are making this a policy for their sites too. We all need quality backlinks to help with Google ranking. 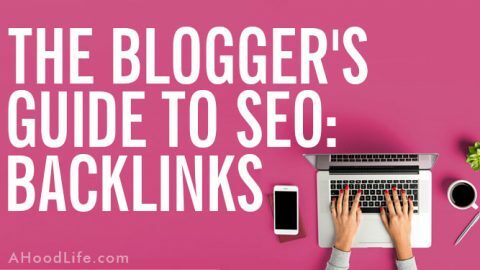 Don’t miss out on links to your blog. Take advantage of the free SSL certificate. Put it in place from day one. It will also save you the hassle of switching over later. Bluehost offers SiteLock Security which is a legitimate consideration. The SiteLock Security add-on is $1.99 per month (Billed annually at $23.88/yr). CodeGuard Basic is also offered by Bluehost at signup for $2.99 per month for your hosting term. I use the UpdraftPlus plugin for my backups. UpdraftPlus does require you to have a location to store backups if you aren’t using UpdraftVault. I back up mine to my Google Drive. More on that later in this post. The price for your Bluehost hosting plan will depend on the discount at signup, the account plan (12-60 months), and the features you choose. Renewals will likely be at the full price so prepare for that at the time of your renewal. WordPress themes are installed in WordPress. These themes help you design the look and feel of your blog by giving you simple ways to adjust the layout, colors, fonts and more. Don’t worry about installing WordPress on your Bluehost hosting service. WordPress is free and super easy to install. It only takes a few clicks. Bluehost will walk you through the process. Picking your WordPress theme can sometimes be overwhelming. There are so many out there! That’s also a good thing. You’re virtually guaranteed to have a unique look for your blog that suits your style and needs. This blog currently uses the Kleo theme which costs $59.00. I’ve used it for years but I’ll probably be switching this blog to the Genesis theme soon. The Genesis theme by StudioPress is more compatible with future features I plan to implement in the first part of 2019. Genesis comes in two parts. The Genesis Framework and the theme of your choosing that’s customized to run on the Genesis Framework. The pair can be bought together for somewhere between $99.95 – $129.95. You’ll want to check out the different themes for Genesis! They have some really awesome layouts to pick from. Themes are one of the many great features of WordPress! If you need to change your theme in the future, you can! Pick your new theme, install it, activate it, and check to see if any adjustments need to be made to any previously published posts and pages. Pretty cool, huh?! WordPress themes are typically a one time fee unless you want to renew your support from the publisher. I’ve used the Kleo theme for 3 years without renewing support. The initial term for support is 6 months. The developers have been way beyond helpful over the years. They have promptly answered all questions and developed custom fixes for me where needed. They go way beyond anything I would ever expect from any company. Wonderful people! There are also plugins that add to the functionality of a WordPress website. There are plugins for contact forms, improving website speed, security, backups, social media sharing and much much more. Some are free some aren’t. The need for plugins will depend on your blog and the services you provide. In the past, I’ve purchased premium plugins for blogs that have ranged in price from around $19.00 to over $300.00. Most plugins are on the low end of that price range. We currently use one freemium plugin for this blog, Advanced Ads. Advanced Ads allows you to easily insert ad content from all ad and affiliate networks. This includes Google AdSense, Amazon, Ezoic, media.net, ShareASale, and any other ad creative you want to include. With Advanced Ads, you can use the free version, buy specific upgrades that may meet your needs, or buy the All Access version, which is what we chose. For our needs, Advanced Ads All Access was the cheaper route. Advanced Ads allows you to easily group ads and rotate them. You can even add a weight to individual ads in the group to have certain ads show more often. Visitor conditions are awesome! Certain size ads perform better on mobile, tablet, and computer. Visitor conditions allow you to serve different ads to different devices… which means improved profits! But to do this we need a cache-busting tool. You should be using a plugin that will cache your website. It helps speed the delivery of your web pages and helps to improve your Google Search rank. Caching your website saves a static version of your pages which will prevent ad rotation and visitor conditions on ads from functioning properly. The solution? Cache-busting. It makes an exception for the ad requests. This feature has little impact on page speed. Lazy loading of ads improves page speed. Advanced Ads premium add-ons start at €9.00/year. All-Access is €69.00/year. Which was around $79.00 at the time I wrote this post. Plugin costs will vary according to your blog niche, quality of theme, and your needs. Some themes will come with features that eliminate the need for certain paid plugins. Planning will help reduce your overall plugin costs. 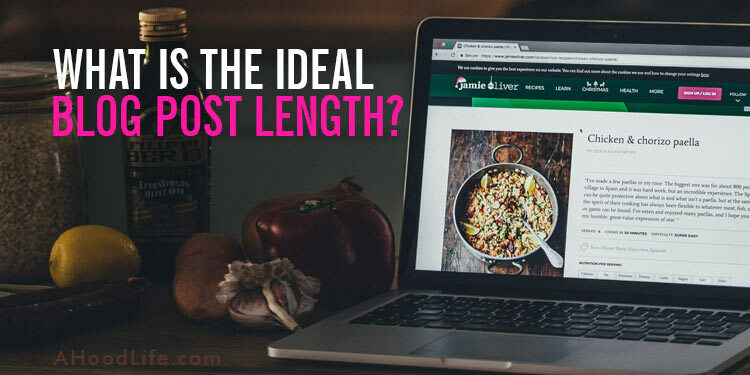 All blog posts should have text and will likely need images to accompany the text. There’s no need to pay for posts. It’s better for you to write your own. Food bloggers, beauty bloggers, fashion bloggers, DIY bloggers, and others often need to buy items related to the blog post they’re working on. 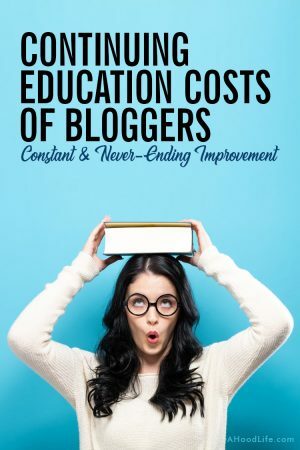 These blogging costs are important to consider when you’re looking at starting a blog in these different niches. You’ll need blog images to make your post more aesthetically pleasing, for Pinterest pins, and for improved SEO (search engine optimization). You’ll need access to affordable, royalty-free images, and graphics. Do not take images from the internet at random. You’ll be in copyright violation which can get you in serious trouble when the owner of the image sues you. Always pay for images through a legitimate service like Adobe Stock or make your own images. With Adobe Stock, you’ll have access to millions of photos, illustrations, vectors, templates, video, and 3D. We subscribe to the monthly pack for $29.00/month. This will give you 10 standard assets a month. If you need more images, they can be purchased. If you don’t use your allotted images, they’ll roll over for future use. Adobe Stock is an annual plan, paid monthly. Check out the free 1-month Adobe Stock trial! You not only need blog images you need a way to edit these images. We use Adobe Photoshop to edit images. I’ve used Photoshop for over 25 years and love it! Photoshop isn’t for everyone though. It can take some time to learn. That’s where online graphic design tools like PicMonkey and Canva come in. These free in-browser image editors are more limited than Adobe Photoshop or Illustrator but most bloggers will find them far easier to use and they have all the features you’re likely to need. PicMonkey is probably the best online, graphic design, photo editing service out there. I’d recommend it if you already have an image you’d like to work with. PicMonkey can be accessed from your web browser, or through their mobile app. Check out the free PicMonkey trial! If you’re looking for a free online graphic design tool that also has images, you’ll want to check out Canva which I like too, though I prefer the combination of and PicMonkey. Canva is an online graphic design tool which also has over a million photographs, graphics, and fonts. Canva makes graphic design easy by using drag-and-drop functions. Canva is free or you can opt for the paid version with extra bells and whistles. The Canva for Work version is $9.95/month billed annually or $12.95 month-to-month. Check out the free Canva for Work trial! The price for creating blog content can vary greatly depending on your blog type. For most, they only need some great images and an image editor. The sooner you get started with an email marketing service the better off you’ll be. Traffic from Google search, Pinterest, and social media will come and go. Your email list is in your control and is one of the best sources of traffic available. After all, these people are interested in you! They signed up for email so they would hear from you. Wasn’t that nice of them?! Now there are free email services like MailChimp. Well, MailChimp is free till you reach 2,000 subscribers. Then the fees start climbing REALLY FAST!!! Free services also have limited features which will hurt your ability to target subscribers or make money from your emails. You could start with a free service. I used MailChimp in the past. It worked for a short time but I know I lost money using them. I was being cheap about things and it cost me. I’ve used ConvertKit, MailChimp, Emma, Constant Contact, and a number of others. I even developed my own email marketing service back around 2003, Advanced Flyer. Unfortunately, it didn’t last too long. Live and learn. Anyway, I’ve discovered it best to start out with and stick with ConvertKit. ConvertKit’s email marketing service was designed for bloggers from the ground up! So, it was specifically designed for your needs as a blogger! What more could you want? Our #1 recommendation for email marketing service is ConvertKit. Check out the awesomeness with a free ConvertKit trial! Woohoo! Nothing to lose! 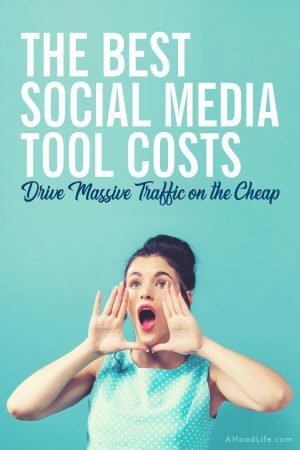 You’ll eventually want social media tools for driving additional traffic to your blog and scheduling Pinterest pins and social posts. Social media tools can be great time savers. Tip: Pick only 2-3 social media platforms. Any more and you’ll be wasting time and energy. In time and by using Google Analytics, you’ll be able to figure out which social media platform brings your site traffic. My favorite social media platform is Pinterest. Though in it’s strictest sense, Pinterest is more of a search engine. I highly advise that you pay attention to Pinterest. It can provide you a lot of traffic to your blog. I primarily use two social media tools, the Tailwind scheduler for scheduling Pinterest pins and the Social Warfare plugin for it’s floating social share buttons. These two are well worth the investment. Tailwind has great analytics, Tailwind Tribes for promoting blog posts, and SmartLoop for resharing your best Pinterest Pins at the best times. Oh! And it’s an Instagram scheduler too! Check out the free Tailwind trial! Social Warfare has a free version. That’s the one we use. And then there’s Social Warfare Pro which has a bunch of additional features that are worth the look. The pro version has additional social network share buttons, enhanced design and placement, share recovery if URLs have been modified, allows all of your pin images to be shared, and much more. For scheduling posts to social media sites other than Pinterest and Instagram, we don’t pay anything. For this, we use free services or manually post. I’m a firm believer in constant, never-ending improvement. That means continuing education whether free or paid. Paid usually has better content, but I understand if you need to save money. The costs of creating a blog add up quickly. Don’t forget your public library system for additional learning! Libraries seem out of vogue but they still have amazing resources. There are only a few technology and equipment needs for most bloggers. A computer, preferably a laptop for mobility purposes, and an internet connection are essential. Some will also need a camera. The cameras with many modern cell phones are usually satisfactory to start. Food bloggers, beauty bloggers, fashion bloggers, DIY bloggers, and others needing superior photos may need a high-quality camera and special lighting. I do not recommend that you spend money on this equipment in the beginning. These costs can add up quickly and place you in debt. You don’t want to go into debt to build your blog. You can usually cover the costs of starting a blog through money saving methods or by selling off unused items around your home. If you require camera equipment that you won’t use daily, you can rent photography gear until you can pay cash through blog earnings. 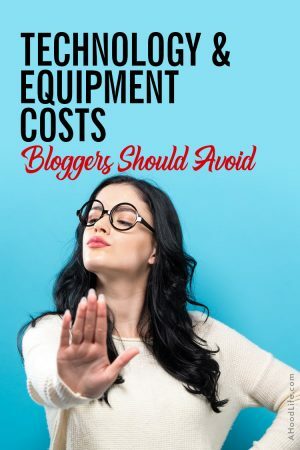 Many people already have access to the required equipment to start a successful blog. If you don’t own a computer or have an internet connection, please consider using a computer at your local library. Libraries offer use of computers and it’s your business what you do on them. How cool is that?! Also, if you ever see books or other resources listed at the bottom of our posts, consider checking at your local library before buying. Yes, we do make money from affiliate commissions if you buy these, but save money where you can. Adorama is our #1 go-to source for all our technology and equipment needs. I’ve used Adorama for about 9 years now. Awesome company and customer service! I’m terrible at spelling and grammar! I require software to check my writing. Most people could use a little help from time-to-time. Grammarly is our #1 recommended grammar checker. There’s a free version of Grammarly that conveniently checks grammar and spelling for you. I’d recommend the use of the free version at minimum. The Grammarly Premium version checks for plagiarism, spelling, punctuation, grammar, context, and sentence structure. But that’s not all! Grammarly Premium has genre-specific writing style checks and vocabulary enhancement suggestions. A plagiarism checker is extremely important for ranking in Google. Google doesn’t like plagiarized work. It’s good SEO practice to check your work with a plagiarism checker to make sure you’ve not inadvertently written the same series of words as someone else. Grammarly Premium checks more than 16 billion web pages to make sure you have not plagiarized another web page. You may already have Google Drive. If so, that’s great! I use Google Drive along with the UpdraftPlus plugin for backing up my blog. There is a free version of UpdraftPlus which might serve your needs. UpdraftPlus Premium has additional features that may be wanted like the ability to backup to multiple storage destinations, automatic backup, importer, migrator, enhanced reporting, no adverts, and much more you should check out! The premium version also has enhanced support for Dropbox and Google Drive that also gives you the option to create sub-folders for your backups. Super useful! Will you be offering online courses? Teachable is the way to go. The Professional plan is the most popular and will save you from having to pay the 5% transaction fee found with the Basic plan. Blogging and making money? That means paying taxes. UHHHH! I sometimes wonder if anyone hates accounting work more than me. Well, it’s part of any blogging business. You have to have a way to keep up with your earnings and expenses for tax purposes. FreshBooks and QuickBooks (covered next) both make this process easier and keep you from struggling at tax time. Will you be selling a product and collecting fees through PayPal? Want to cut down on our PayPal fees? FreshBooks is the way to go. Paypal fees are outrageous but they have a trusted resource for completing online transactions. With FreshBooks, you have the option to pay only $0.50 per transaction when receiving a payment through PayPal. Far better than the 2-6 percent PayPal charges without this FreshBooks benefit! FreshBooks is more expensive than QuickBooks but you can more than recover the difference in cost through the saving on PayPal fees. FreshBooks doesn’t generate tax-time specific accounting reports. It does, however, provide all the information needed to prepare your taxes. If you need software that generates tax-time specific reports, I would recommend you use QuickBooks. Need to access Freshbooks on the go? They have an app for your convenience. Check out the free FreshBooks trial! I started using QuickBooks over 25 years ago and am sorta attached to using it. FreshBooks will likely win us over in the long-run due to the savings on PayPal fees. It will depend on our future sales. QuickBooks also has free mobile apps to help you keep up with your accounting needs on the go. They sometimes offer discounts or a free trial. At the time of this post, they are offering 50% off for 3 months. IPVanish VPN is the #1 virtual private network out there. I’ve been extremely happy with them for over 3 years now. Whether you’re at home or on the go using public Wi-Fi, a virtual private network (VPN) like IPVanish VPN helps protect you by keeping your personal data safe from hackers or other prying eyes. Your emails, instant messages, login usernames & passwords, data transfers, online banking, and other are kept secure when using IPVanish. Once you’ve connected to IPVanish VPN your information is encrypted and your location and IP address are replaced by an IPVanish IP address that will show the location of the server to which you connect through the VPN. Protect your privacy and security by using IPVanish, especially when you’re on public Wi-Fi. As they say, time is money. 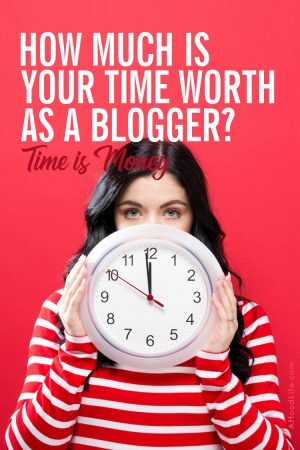 The time you spend on your blog is an investment in your future. 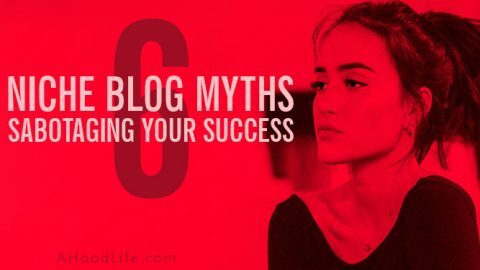 The more time you spend on your blog the greater likelihood of success. And when I say success, I mean money! Now, when the money starts coming in that’s when things really get exciting! Your drive is likely to increase when you see money from your hard work. Make sure you’re following the 80 20 Rule of Blogging at this time. The 80 20 Rule will increase the value of your time while blogging. Wouldn’t it be satisfying to leave that 9-5 job for something far better? It’s my hope that with a small monetary investment along with your time investment you’ll find the financial independence you deserve. 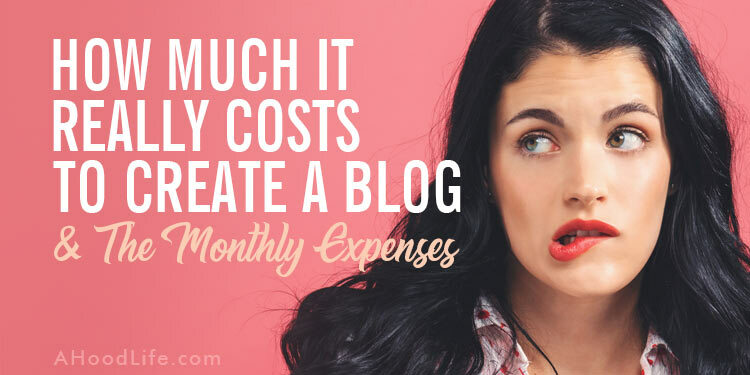 Costs to start your blog can be easy to gloss over. They don’t seem like much at first glance, but they do add up over time. Knowing the best services and where you should spend your money is vital to your success. I want you profitable in the shortest time possible. When I was a beginner blogger, I flew by the seat of my pants. Bought what I thought might help to make my blogs profitable. Many of the expenses were unnecessary. Money lost. I hate losing money! I don’t want you to be out more money than you have to be. Many of us don’t have a lot of extra money to throw around. We have family and responsibilities that demand our hard earned money. I urge you not to go into debt when developing and maintaining your blog. It takes some time and effort before you see a profit. I don’t want you having interest expense on top of it all. Garage sales, or selling off unneeded items may be all you need to cover the costs of creating your blog and it’s monthly expenses. If not, consider some sort of side hustle to cover your blogger costs. Pay for only the blogging services you need to get the job done. 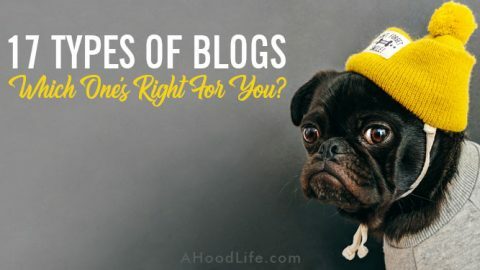 Blogs are different and have the need for different tools. Many that I’ve mentioned here are typical for most blogs. Limited on funds? Worry about the cost of the most important blog services and tools first. I consider most important to be Bluehost, ConvertKit, and Tailwind. I would place the other blogging costs secondary to these three. Keep your blog costs as low as you can for as long as you can. There are many things that you might have the urge to buy for your blog and business. Watch your money. Especially in the beginning. Not overspending will help your drive and profitability in the long-run but remember to find balance. Without many of the above expenditures, you’ll struggle to drive traffic and waste time on tasks that could be automated. Automated tasks will free up your time to develop content. Gotta have that content! I hope this has helped with understanding blog costs. 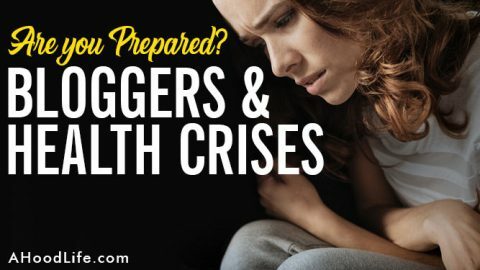 There are a lot of things that go into creating a blog and its maintenance. If I’ve missed any cost you’re concerned about, feel free to ask in the comments section down below! I’d love to hear from you! Thank you for breaking it down. There were a couple costs in here I had missed!!!! Thank you!! Hi Sameh! That’s wonderful! I was checking out your blog. You’re ambitions too! Two little boys… I’m sure they keep you and your wife busy! Looking forward to hearing about your many future successes! Say hey any time! Best wishes! That is a lot of helpful information! I need to take a deeper look into this and see if I can’t find something in my life that others would be interested in reading about! Mon! Thanks for checking out the blog! How about pet adoption? I know whatever you’d write would be a fun read! Hiya! Wooowww!! There’s so much depth to this post! Well written! Thank you so much for the information.